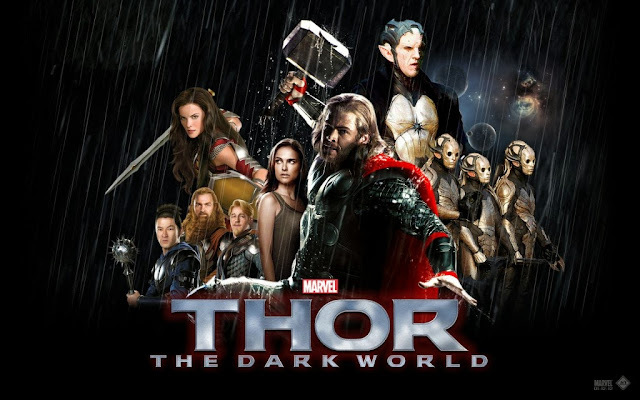 With Thor – The Dark World hitting theatres across North America, I thought it would be fun to look back at the origins of the movie’s antagonist, Malekith the Accursed. 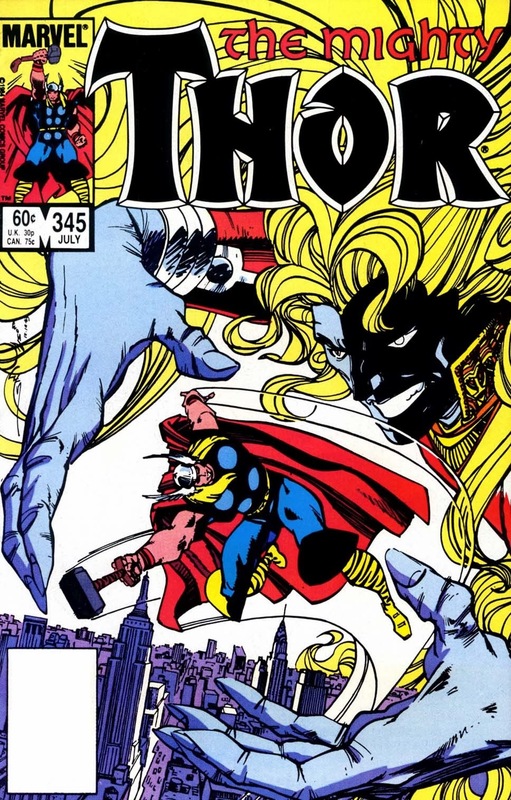 Malekith was created by Walt Simonson and made his first appearance in The Mighty Thor #344 (Jun. 1985). He is the ruler of the dark elves who inhabit Svartalfheim, one of the Nine Realms of Asgardian mythology, and wielder of Dark Faerie magic. 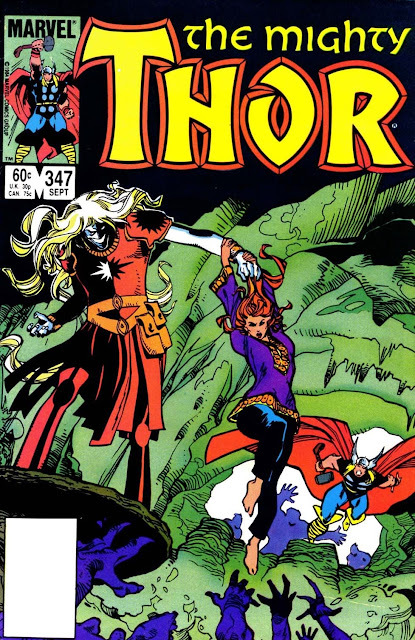 Malekith’s tale is often overshadowed by the climax of Simonson’s epic storyline, The Surtur Saga. Malekith was the key plot point as he and his dark elves recovered the Casket of Ancient Winters, which was the elemental weapon used to free Surtur from his fiery realm and kicked off his invasion of Earth. Malekith allied himself with Surtur in revenge against Odin, who had banished him because he had created the Casket of Ancient Winters. Surtur then freed Malekith and set him about on his quest to recover the Casket. In this tale, Simonson not only creates a great foil in Malekith, but also adds another character named Roger who learned that his father died protecting the Casket of Ancient Winters and that this responsibility has now passed down to him. Malekith calls up a horde of demon dogs to begin a fairy ritual called The Wild Hunt to track down the Casket. Fortunately Roger’s Korean War experience pays off as he eludes the dogs and the master of the hounds long enough for Thor to join the battle. They drive off Malekith, but he’s not done with our heroes. Thor and Roger go to the Faerie Realm to rescue his love interest, Melodi who’s been captured by Malekith. At this point, Thor is completely unaware that Melodi is Lorelei who is the Enchantress’ little sister and working for Loki. 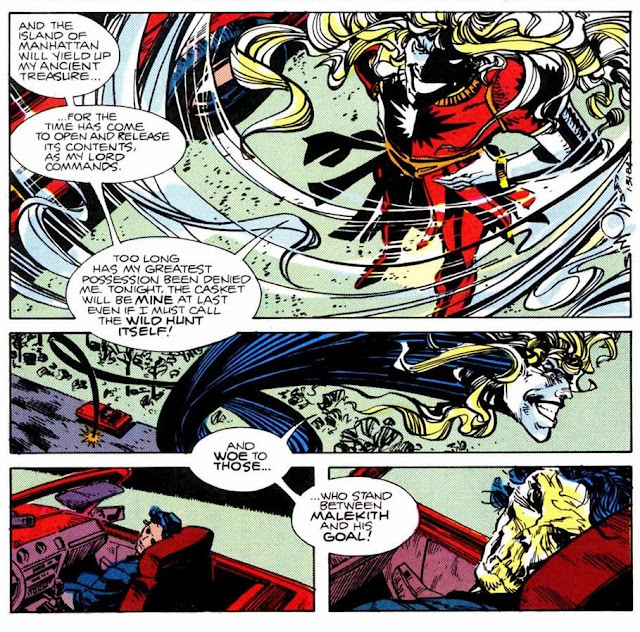 While Malekith throws various threats at Thor to keep him busy, his dark elves capture Roger and Malekith recovers the Casket of Ancient Winters. Thor and Roger soundly defeat Malekith, but despite their victory, they’re unable to stop Malekith from destroying the Casket and releasing all of its magical powers. The combined powers of centuries of winters freeze the gateway barrier between Muspelheim and the Earth. Surtur then used his newly forged sword to destroy the barrier and he crossed over into the Earth dimension on his way to Asgard. It’s not hard to see that Simonson had a blast writing Roger, as well as his father Eric. 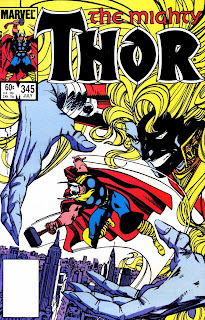 Through most of this story, Thor reacted like more of a blunt instrument of force, while Simonson devotes a lot of comic page time to Roger who’s a regular joe drawn into this epic conflict between gods. 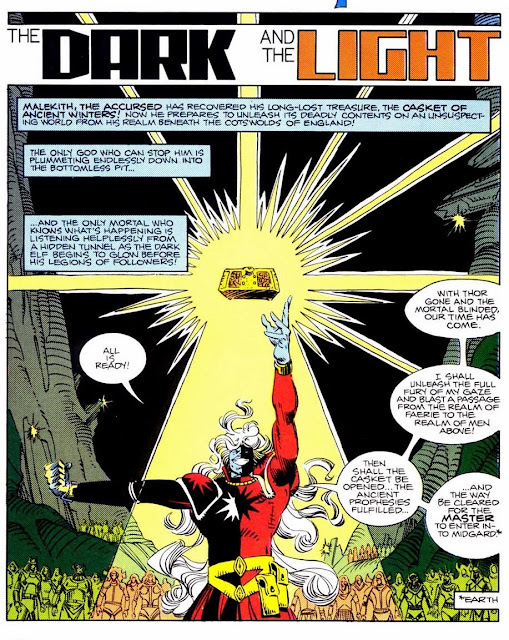 Simonson effectively used Roger’s point of view to ground the reader and to help set the scope for the upcoming battle against Surtur and his legions of fire demons. Good post, Jason. Did you see the movie yet? Hey David, thanks. I did see Thor over the weekend and really enjoyed it. It was a pleasant blend of action, comedy, and I really liked how they handled Asgard and the Nine Realms. Definitely worth seeing in the theatres. Nice review , I have two comments jason a) It is a shame Simonoson didnt use more Jerry on his run b) One of my favorite apperances by Malekith is his introduction when he was bargainig with Loki , until Balder interrupted them and cut off Loki s head. Be well.